Our company is recognized as one of the most prominent King Helmet Exporters from India. The unmatched quality and inexplicable look of the Metal King Helmet has attracted various national as well as international clients to place bulk orders Moreover, the Medieval King's Helmet is also available in varied specifications meeting the requirements of the clients. 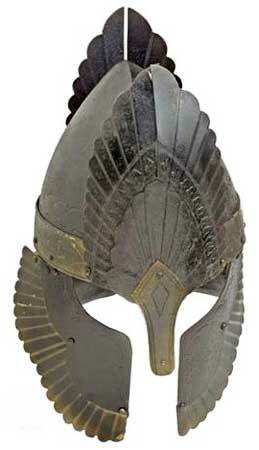 We also provide King Armor Helmet at the most reasonable prices.